Let Neruby solve your computing problems. 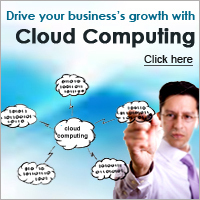 Our dedicated team of highly skilled consultants has provided IT services for satisfied clients worldwide. From designing bespoke software, to implementing a full e-commerce site, to extensive networking packages, we have the solution. Take a look at what Neruby can do for you, our range of skills is wide ranging and ever-developing. Our portfolio extends from working with small entrepreneurial firms, to tackling the complex computing challenges of large public organizations and Government. Want to contact us straight away? Then please use our Response form.